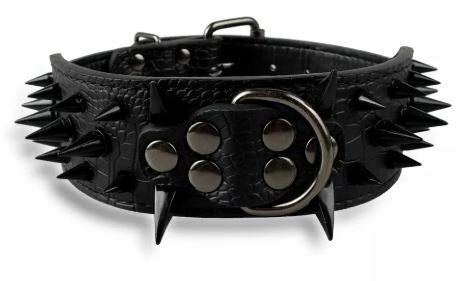 This collar is about as bad as it gets. 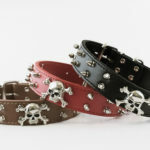 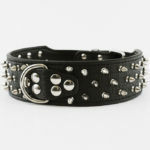 Features croc pattern with black spikes and a sturdy attachment for leash connection. 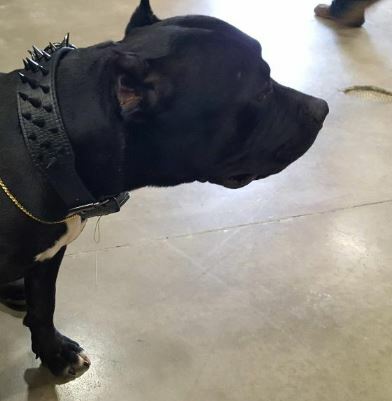 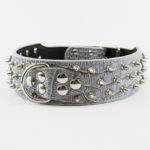 Perfect for your Pit Bull, American Bully, Cane Corso, or any large breed dog.